Whether you are trying to avoid the post-lunch lull, needing to stay up and finish that paper due in the morning, or are are just wanting to gird your loins for the long I-just-washed-all-my-work-shirts-and-now-I-have-to-iron-every-d@am-one session staring you in the face, Four Sigmatic and VERB have you covered. 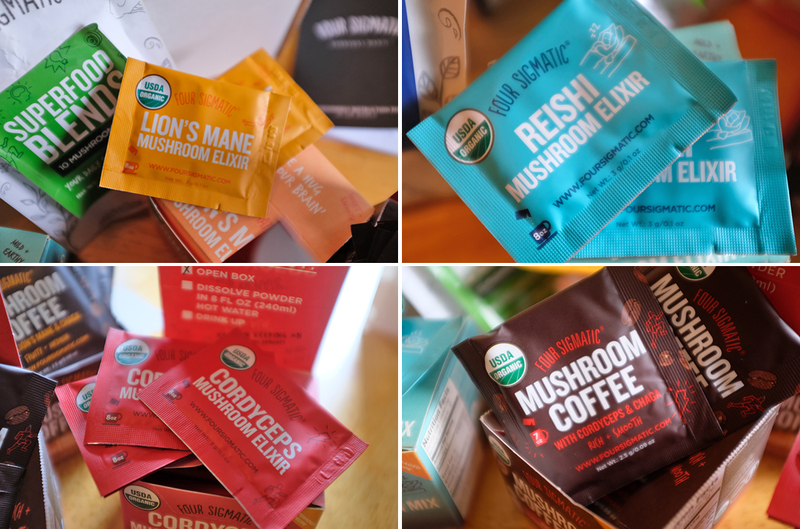 The RainyDayKitchen and RainyDaySports folks have personally tried all of these drinks, elixirs, and energy bars, and have found them to be as effective in providing a person with a sorely-needed kick in the @ss than the Too much caffeine! Too much caffeine! guzzle of the dark roast, but in a much gentler fashion. The other half of the office’s favorite is the Cordyceps and Changa Mushroom Coffee , because do you even KNOW how much stamina it takes to sit absolutely still whilst clicking on this-n-that to bring you this magazine almost every day? 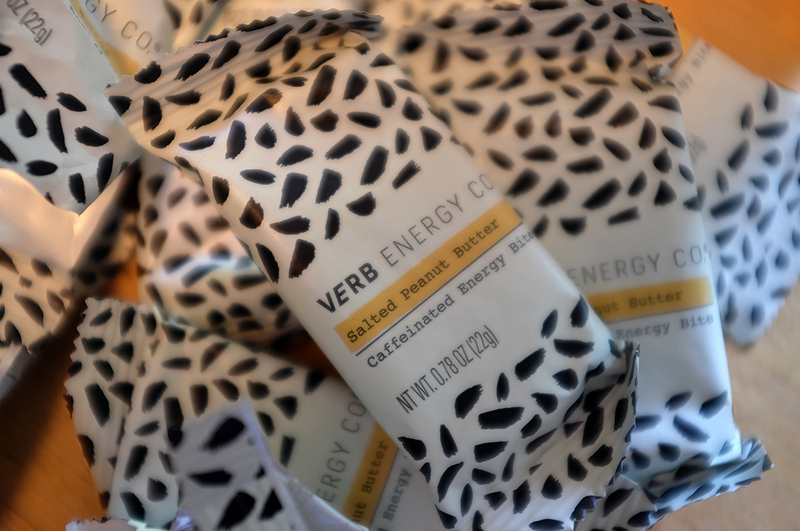 From the VERB people: “A VERB energy bar is just 90 calories and has as much caffeine as an espresso (yup, you read that right).” So, is that an espresso in your pocket or are you just happy to see us? Guess which one is our favorite? 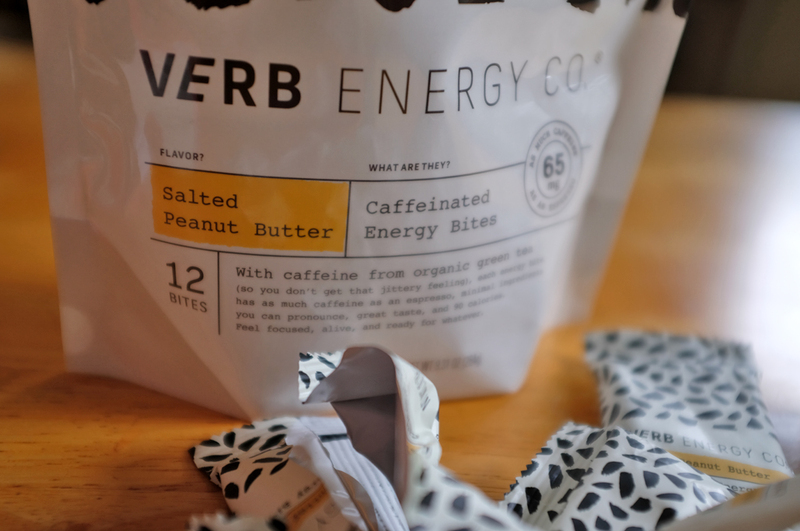 These delicious energy bites are made with gluten-free oats and quinoa, nut butter, and caffeine from organic green tea. These quality ingredients offer protein, great flavor, and the kind of energy boost that doesn’t slam you against the seat yet help keep you productive until the end of the day. 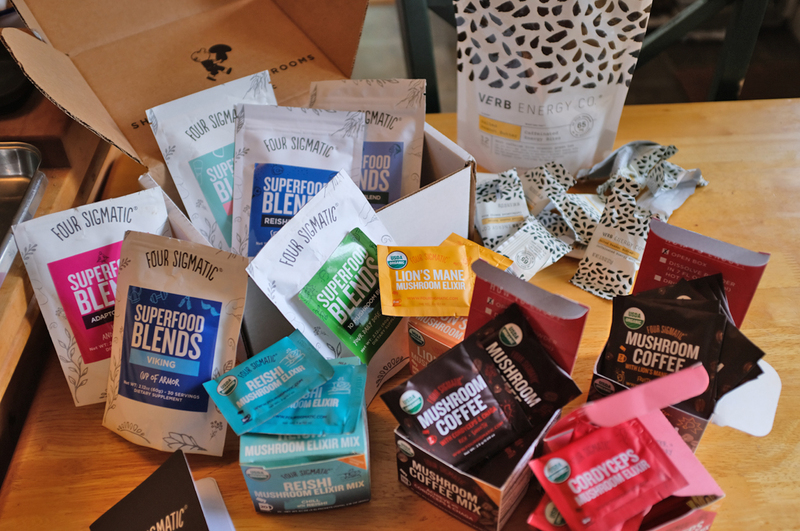 We pack them for when we know we’ll be on the move and may not have time to grab a cup of espresso!